Raspberry Pi 3 Model B is the latest computer board from Raspberry Pi. There is a whole family of Raspberry Pi’s available to you, each providing various functionalities. What is a Raspberry Pi?. 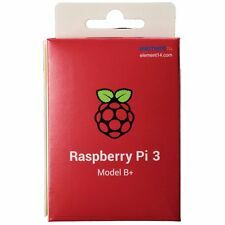 Why choose Raspberry Pi 3 Model B ?. The product key can only be used with a fresh Windows 10 professional installation. Keys can be used globally on any Windows 10 Pro language version. Upgrade from win 7, 8 and other editions of Windows systems are not supported. For 32 / 64bit. Microsoft Windows 10 Pro Professional Key. WINDOWS 10 PROFESSIONAL 32 & 64-bit. Install Windows 10 Pro and. It’s the most complete version available on the market with all the Windows 10 features included. Lexar NS100 2.5” SATA III (6Gb/s) SSD Solid-State Drive - 240GB. Improve your existing system’s performance with the Lexar® NS100 2.5” SATA III (6Gb/s) solid-state drive (SSD). 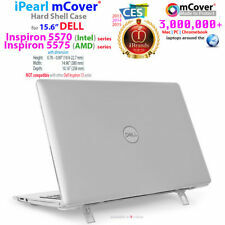 It is also cooler, quieter, and uses less battery life than a traditional hard disk drive. This is a very safe official office 365 account. The first log will need you change the original password and set your own password. So after setting a new password, no one else can access your account. The SU650 features SLC caching and advanced error correction technologies to ensure optimized data performance and integrity. For those who want to experience a clear PC upgrade, the SU650 is an excellent choice with a great cost-performance ratio. Office 365 / 2016 / 2019 Professional Plus 32/64 bit application for 5 PC / Mac / Android / iPhone devices. Office 365 account for installation (Not key). New Office 365 account and Install Guide. Microsoft Office 365 Pro Plus For Mac & Windows 5 PC 5 Devices 5TB Onedrive. 1 gigahertz in 32 or 64 bits. Product Codes Online is not affiliated with Microsoft Corporation. 2 (Go) for 32 bits or 64 bits system. 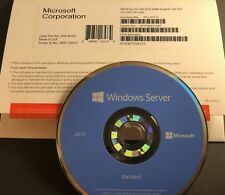 allow you to download windows 7 from microsoft website. 16 Go for 32 bits or 20 Go for 64 bits. , so we can ensure proper INSTALLATION AND POSITIVE PROBLEM WITHOUT ANY OF USING VERSIONS (32/64 BITS). WINDOWS 10 PRO N VERSION. YOU CAN MAKE THE INSTALLATION OF THE INTERNET ATREVES PRODUCT OR PHONE CALL DIRECTLY WITH MICROSOFT. You can also replace your hard drive or a smaller SSD with a drive big enough to hold all your files. 10x faster than a hard drive With incredible read/write speeds, the A400 SSD will not only increase performance but can also be used to breathe new life into older systems. This is allowed by EU Law. OEM KEYS DO NOT WORK VIA MICROSOFT WEBSITE AS THEY ARE OEM ONLY AND ARE NOT SUPPORTED BY MICROSOFT. This will be used as evidence in any event of a disputed key. YOU WILL LOSE THE KEY - AND YOU MAY LOSE YOUR MONEY AS WELL DUE TO TRYING TO DE-FRAUD OUR SYSTEM. With 64GB capacity, there’s lots of room for your files – so you can swap, share and save much larger or more files via the USB port of your PC or laptop. Capacity: 64GB . Activity LED indicator: glow shows drive is property connected and pulsates faster to confirm when copying files. Greatly convenient to hold for iPad or others at the headrest and facilitate the passengers to play at the back seat. Made of superior quality material, considerate design makes it can catch the headrest tightly while the car is moving.